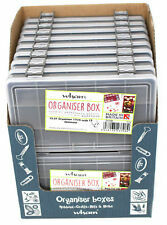 WHAM - 17cm x 10cm Organiser Boxes - 18 piece outer. 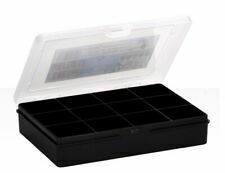 Wham Plastic Storage Box With Lid Crystal Clear. 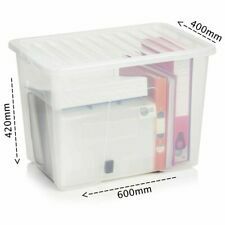 High quality 80 litre storage box with clip on lid. SCHOOL / COLLEGE. 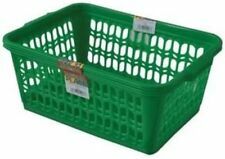 GREAT FOR HOUSEHOLD STORAGE. CHILDRENS TOYS. (4.5×4.2×3.3cm). · A2 Stainless Steel Flat Round Washers. Clear lid to easily view inside. Hardwearing and durable. Ideal for crafts, diy and hobbies. · A2 Stainless Steel Square Section Spring Washers. 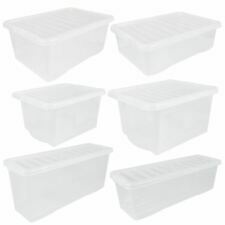 5 x plastic storage boxes with lids, 24 litre capacity, perfect size for A4 paper (43 x 33 x 25cm/ 17" x 11" x 10"). Quality British made product! Clear plastic. 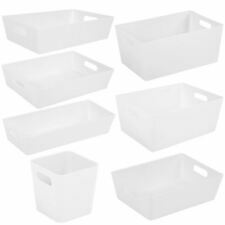 Boxes nest together to save space when not in use. 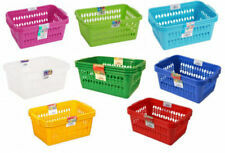 Type:Storage Basket Large - Blue. Manufacturer Part No:30501. 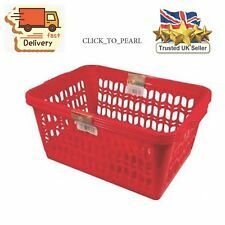 Wham Clear Plastic 13 Divider Jewellery/Crafts Container. Very Good Condition.